Check out Nicki's cool new album artwork. 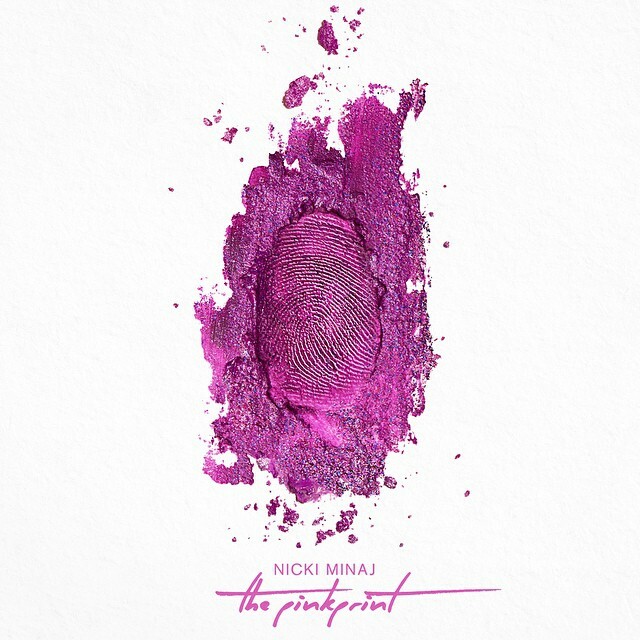 The album cover shows a finger print marked in pink glitter, it was designed by Kanye West's 'DONDA' team. Last week Nicki announced that the new album, which features the already unveiled songs 'Anaconda,' 'Pills N Potions' and new Drake, Chris Brown and Lil Wayne assisted song 'Only,' will now be released on 15th December, after being pushed back from late November. "I'll post the standard cover at a later date" Nicki posted.